Everyone here at Keith Willis Associates take great pride in providing a clear, friendly and professional service to our clients. Our personal approach and passion for our work have made us one of Nottingham’s most reputable accountants. But don’t just take our word for it, read some of our client testimonials to find out what our customers say about us. If you’re in or around Nottingham and in need of trusted chartered accountants for your small or medium-sized business, simply contact us today. Our team is always happy to help. We have had the pleasure of being a client of Keith Willis Associates for the past 19 years, in a number of both business and personal capacities. Nothing is ever too much trouble and the personal service is excellent. I cannot recommend them more highly to anyone seeking accountancy services whether they are a large or small enterprise, or just needing personal advice. The Keith Willis team are straight talking, helpful and have set me on a road to getting much more organised with my accounts. I’ve appreciated their plain talking and non accountant speak to help explain things and also their gentle chasers for all my accounts deadlines! A hugely helpful and competent team – thanks KWA. We have used the services of KWA since 2001, with Andy Betts helping us originally register the company and get the business started. Since then we have had 17 years of outstanding service from the team at KWA and their input has been invaluable to the successful running and development of GeoDyne Ltd.
We have had the pleasure in working with Keith Willis Associates for almost 10 years. They manage our payroll, monthly accounts, year-end accounts and provide advice on personal and company tax. We find them very thorough in the work they carry out and at the same time provide a very efficient and friendly service. We would definitely recommend Keith Willis Associates. Great service. Switched to these guys 3 years ago and it was one of the best business decisions I’ve made. They’ve made running my business so much easier! During 25 years as a Chartered Accountant and Insolvency PR actioner, it has always been a pleasure to work with Keith Willis and his extremely competent and efficient team. 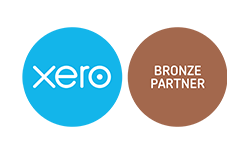 Payroll is a key essential area in any business and pivotal in my work and Keith Willis Associates has always provided and, more importantly, maintained the utmost professional service. Keith Willis Associates have been our small business and personal accountants for 15 years. They have provided a very professional and personal service during this time, and their advice has always been well considered and timely. Importantly, they have taken the time to establish a friendly rapport with us which has made for a strong relationship. For more than ten years now I’ve used KWA while working in the UK and several countries around the world, both as a subcontractor and as a limited company. I have found them to provide an excellent service, great value for money, and advice that’s second to none; I don’t hesitate to recommend them.